The BMW Group has decided to enter a medium term project for the production of all-electric cars. 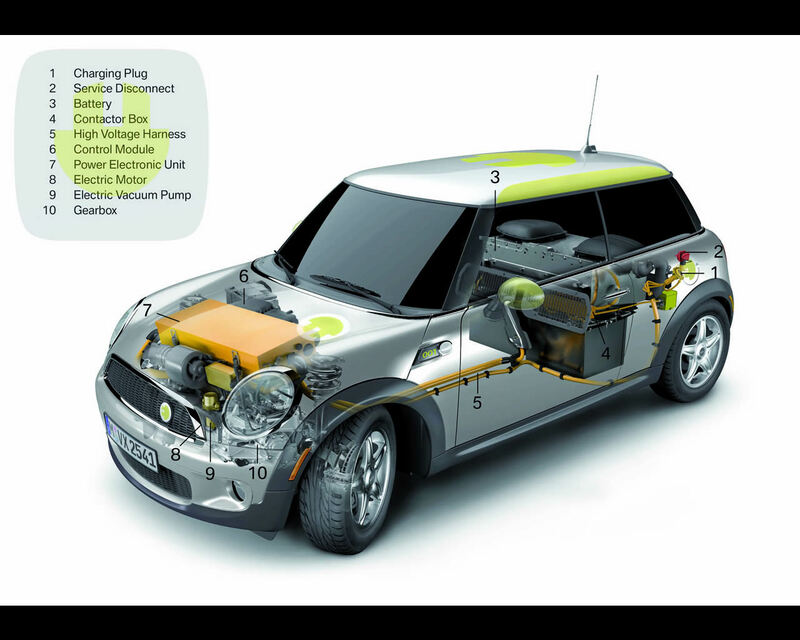 They are starting with 500 Mini transformed for electric propulsion, called MINI E. The 500 MINI E prototypes will be but to everyday testing by la one year lease with possible extension for private and corporate customers in 3 States of the U.S.A., California, New York and New Jersey. The leasing contract will include a full assistance and maintenance allowing BMW to collect data during the experiment. The leasing also include the installation of a recharging wallbox in the garage of the client; this impose the client to have a lockable garage or similar building specification. The wallbox allows high current and a recharging time of two hours and a half. At the end of the lease, all of the automobiles belonging to the project will be returned to the BMW Group's Engineering Department where they will be subjected to comparative tests. This initiative will allow the BMW Group to evaluate ownership potential for vehicles supplied with an electric power supply. A similar program is under evaluation for Europe. 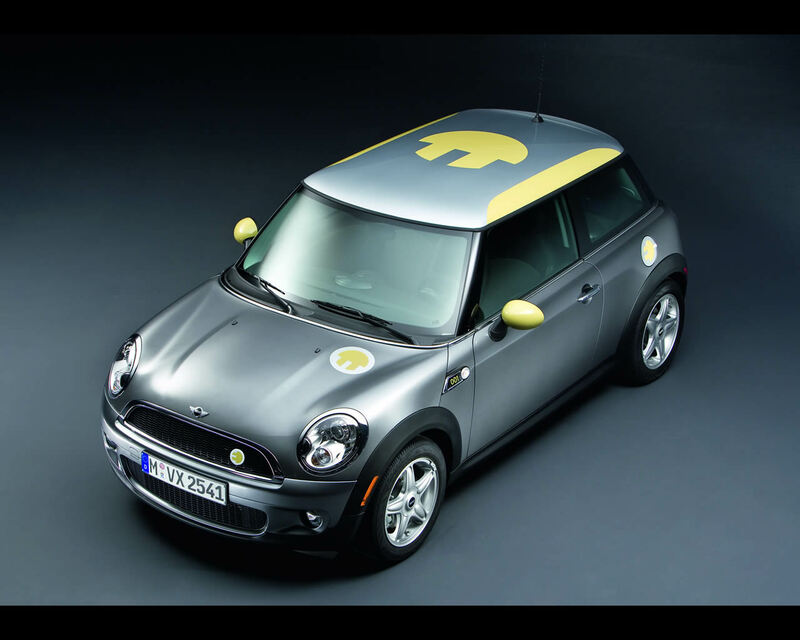 The MINI E is based on production MINI where the front combustion engine has been replaced by an electric motor-generator. The electric drive train produces a peak of 220 Nm and power is delivered to the front wheels via a single stage helical gearbox. The asynchronous motor has a maximum power of 150 kW/204 hp with a maximum 12.500 rpm. The electric energy storage is a battery pack comprising 5.088 lithium-ion cells assembled in 48 modules connected in series, each module containing 2 units connected in series and each unit having 53 cells connected in parallel. The entire battery pack is enclosed and equipped with air cooling system for temperature control. 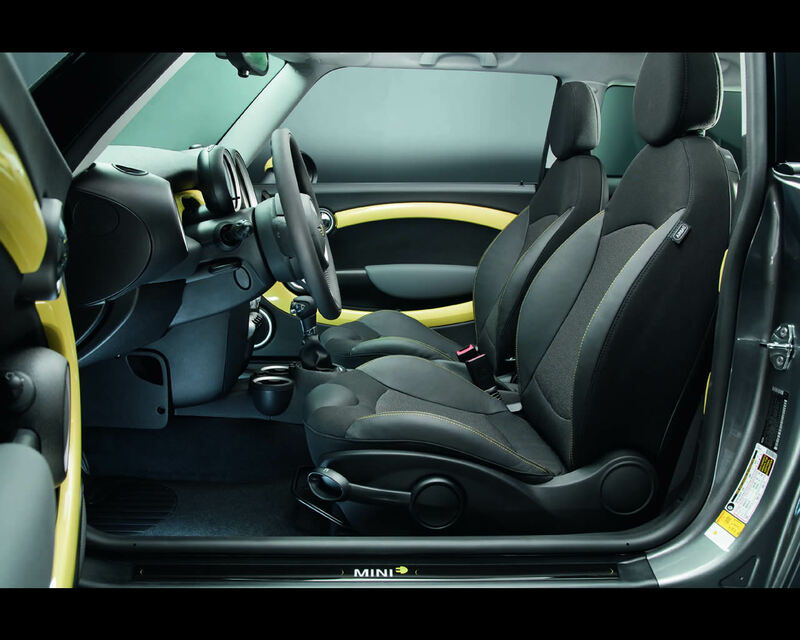 The battery pack occupies the location of the two rear seats of a conventional MINI, so that the MINI E is a two seats vehicle. The energy storage unit's basic components are based on technologies proven in power supply units for mobile phone and portable computers. 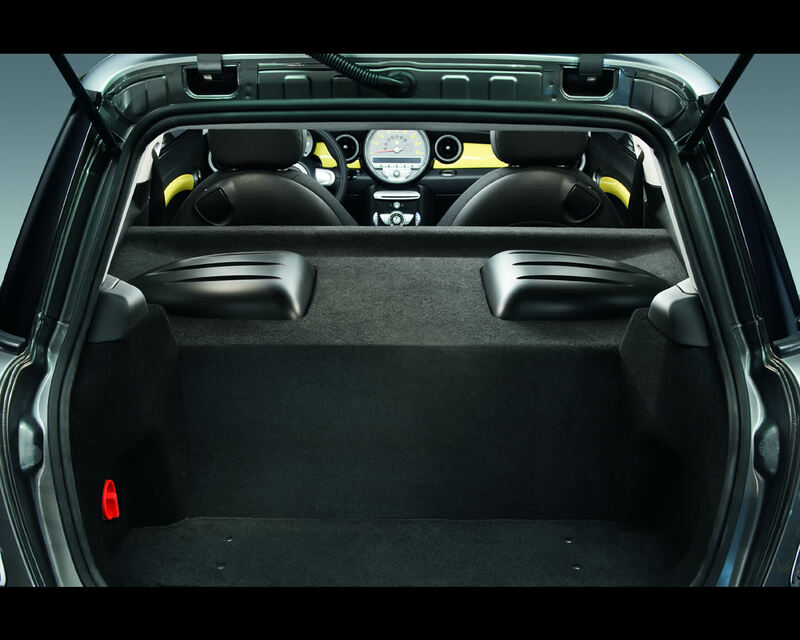 The lithium-ion storage of the MINI E will have a maximum capacity of 35 kWh and transmit energy to the electric motor as direct current at a nominal 380 Volts. The battery package offers a running range of up to 240 km (150 miles) according to driving and charge conditions. 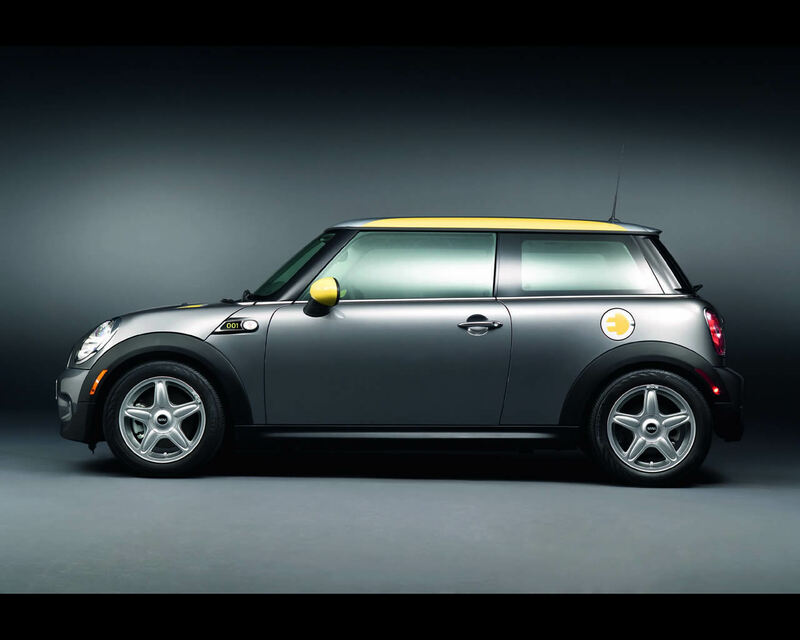 The total energy storage weights 230 kg; The complete MINI E has a curb weight of 1.465 kg ( 3,230 lbs). 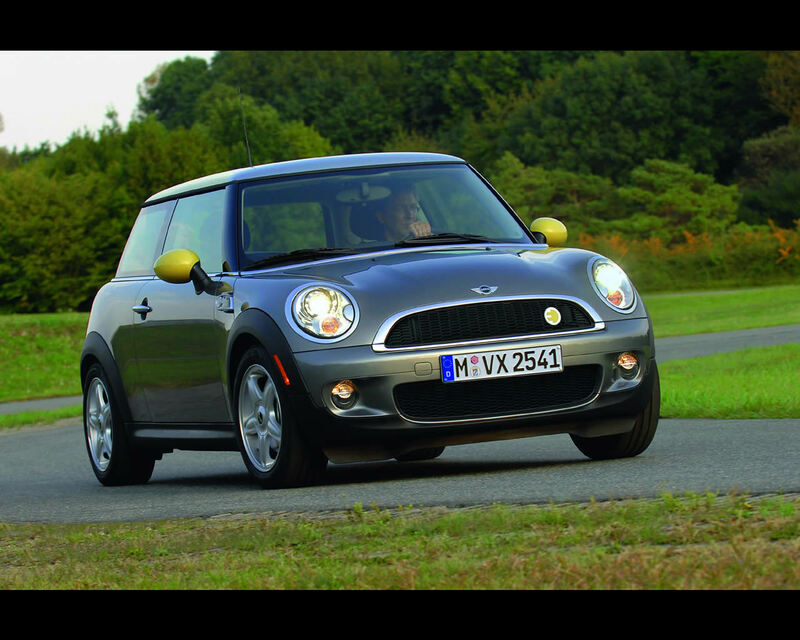 The performances of the MINI E are claimed for a zero to 100 kph (62 mph) in 8,5 seconds and a top speed electronically limited to 152 kph (95 mph). Power to weight ratio (DIN): 9,76 kg/kW. 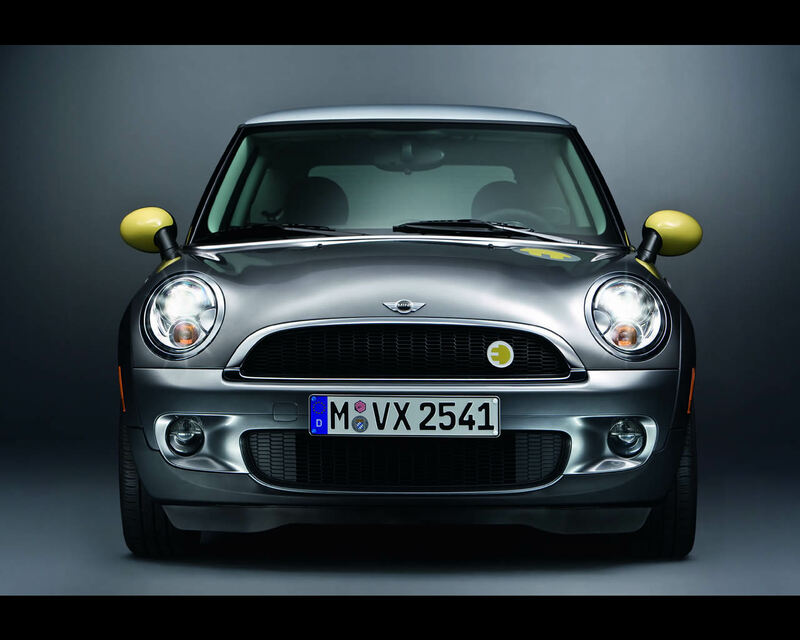 The MINI E prototypes have been produced in 2008 jointly at Oxford plant and the Munich plant for the electrical components.